Dimensions: 4.5" x 4.5" x 2.5"
Alarm clocks for college can be some of the most underrated dorm room supplies. But if you plan on sleeping while in college, and hopefully you do, you'll need a cheap alarm clock as part of your dorm stuff. Most students think they can get away with using their cell phones for alarms. But if your cell phone has a tendency of turning off or running out of battery quickly, a dead cell phone won't wake you up from a nap! The alarm on this Talking Alarm Clock will, however. 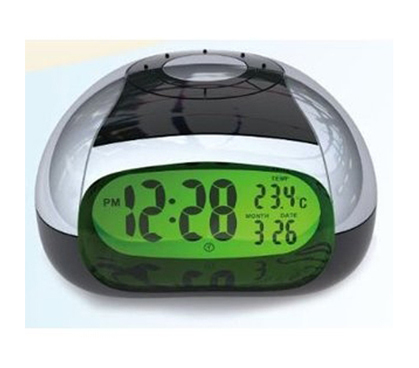 This best alarm clock for college students will verbally say the time just by clicking the button up top. When you're extra tired, you won't even have to roll over to read the time. You don't even need to open your eyes. 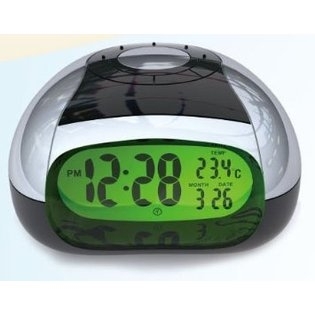 A talking alarm clock is also just a downright cool dorm item! It's the unique and cool dorm stuff that will make your dorm room supplies do more than just fulfill their roles as dorm essentials. Even seemingly novelty features can provide very useful functions. When you're just about to fall asleep again, sitting up in bed and looking at the clock can be enough to jolt you awake. Instead, just press the button up top. Even when you wish you had 20 more minutes to sleep, we promise this clock won't lie to you and tell you a different time!